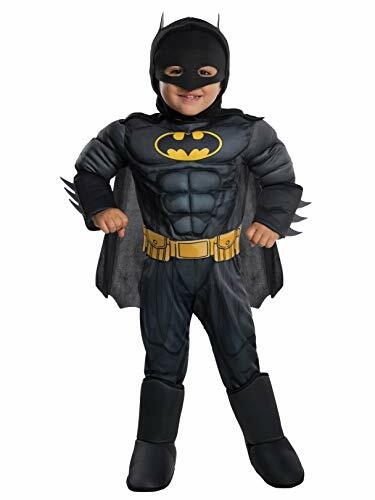 Your child will feel like a superhero wearing this fun Batman Vs Superman: Dawn of Justice Deluxe Batman Child Halloween Costume. 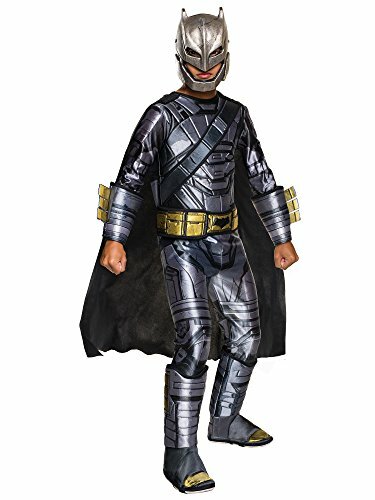 It includes a muscle chest jumpsuit with 3D gauntlets, 3D boot tops, belt, cape and a vinyl half mask. 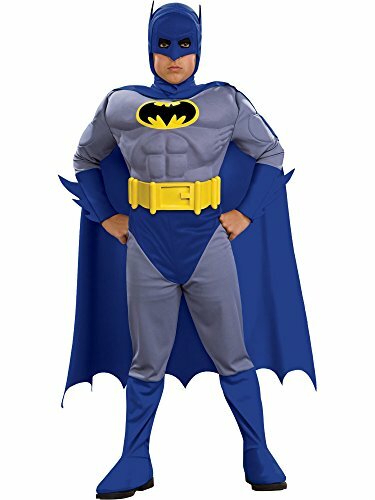 This Batman Halloween costume is made from soft polyester. It is an officially licensed DC Comics product. 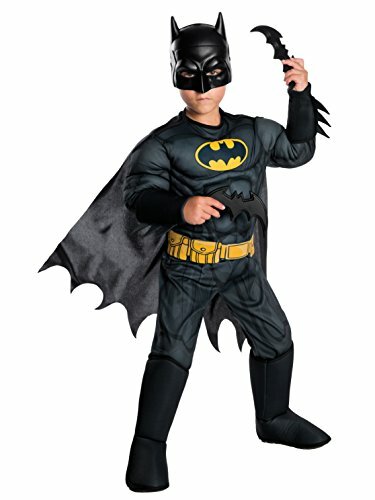 This Batman child costume is fun for themed parties, sleepovers and other occasions. It is available in your choice of assorted sizes.Due to seasonal volume, please review shipping/delivery date options closely. Out of the darkness... there comes the Knight. 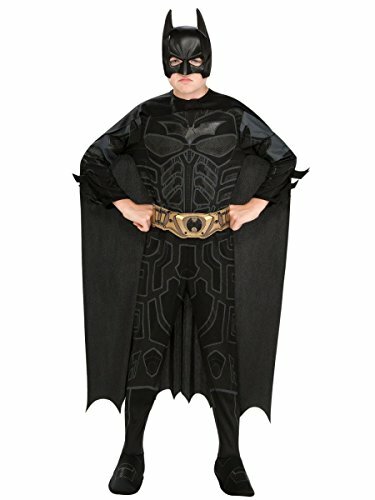 Become the epic hero himself in this Batman Dark Knight costume. 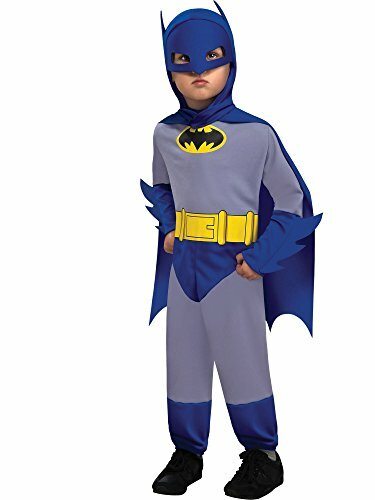 Includes headpiece, cape, muscle-chest jumpsuit with attached boot tops and belt. 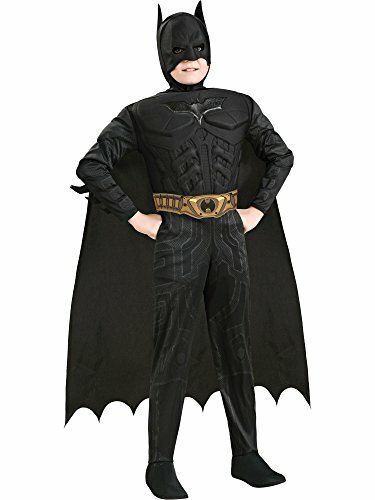 This is an officially licensed Batman costume.